The River’sTone speakers created by a Japanese company called Anodic Supply in association with Michio Sakamoto – a sound engineer and former director of a Sony complex in Shinanomachi, Tokyo. 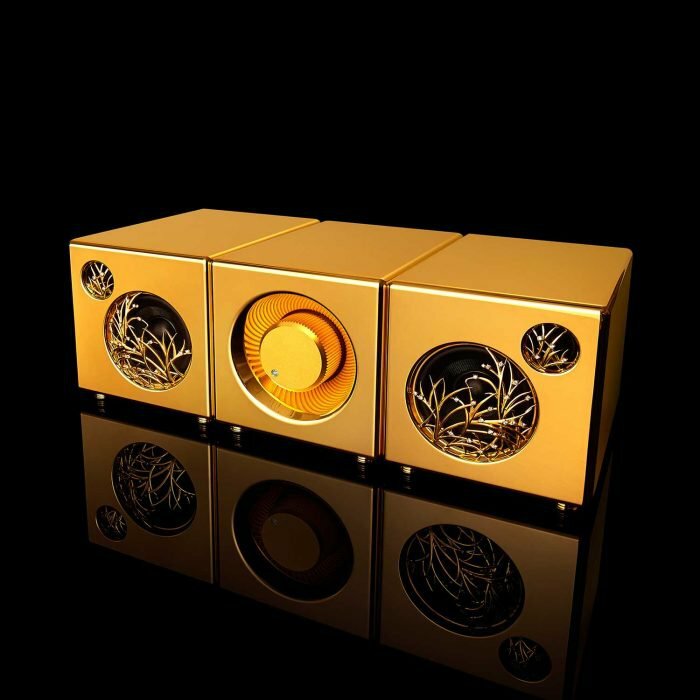 The solid gold versions of these visually stunning speakers use over half a quintal of pure gold. 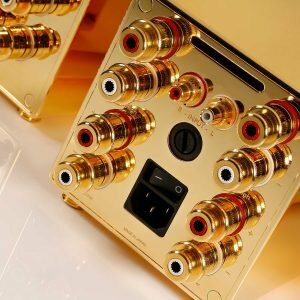 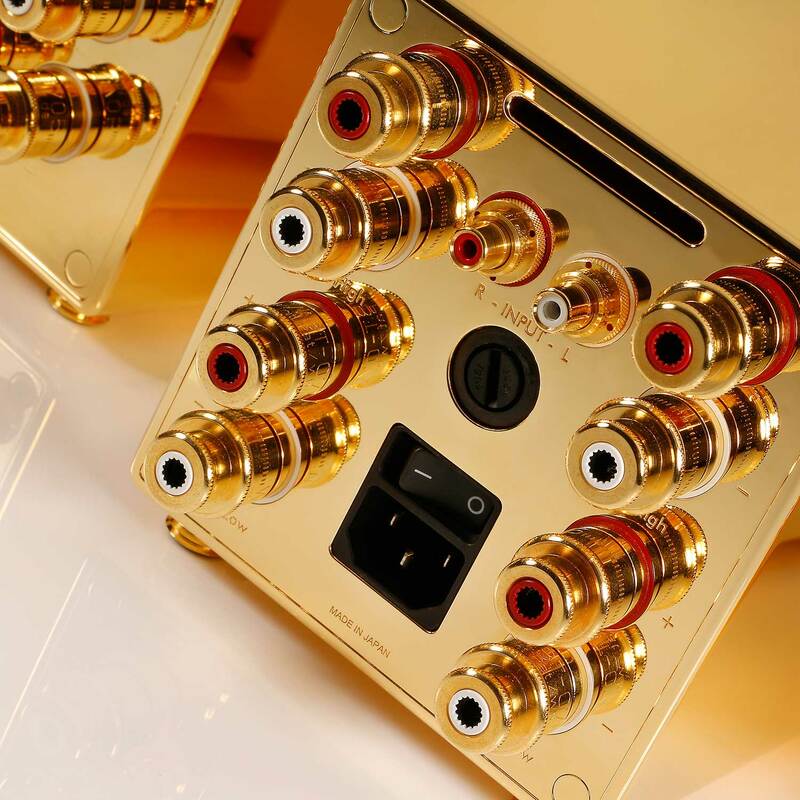 The 2 speakers and one amp are small with 12.4 x 13 x 17 cm dimensions, however they are pretty powerful and deliver extremely high quality sound thanks to the liberal use of gold. 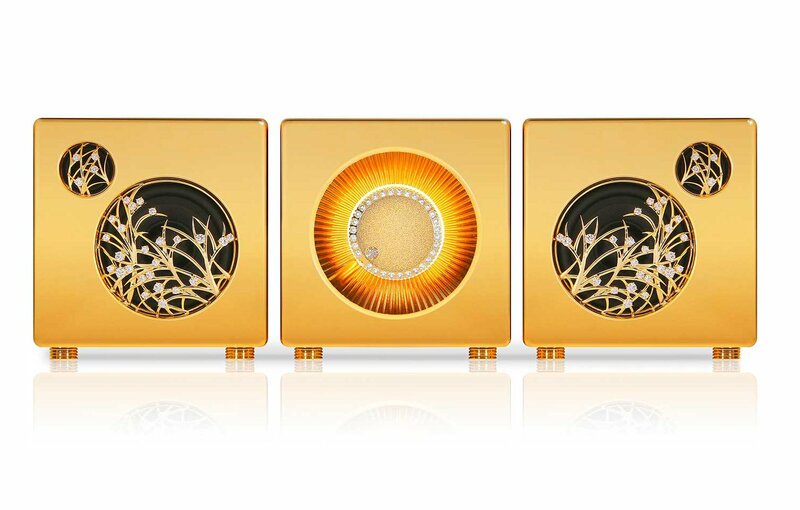 The set has been designed to be extremely neat with no joints, gaps or screws visible from the front or sides. 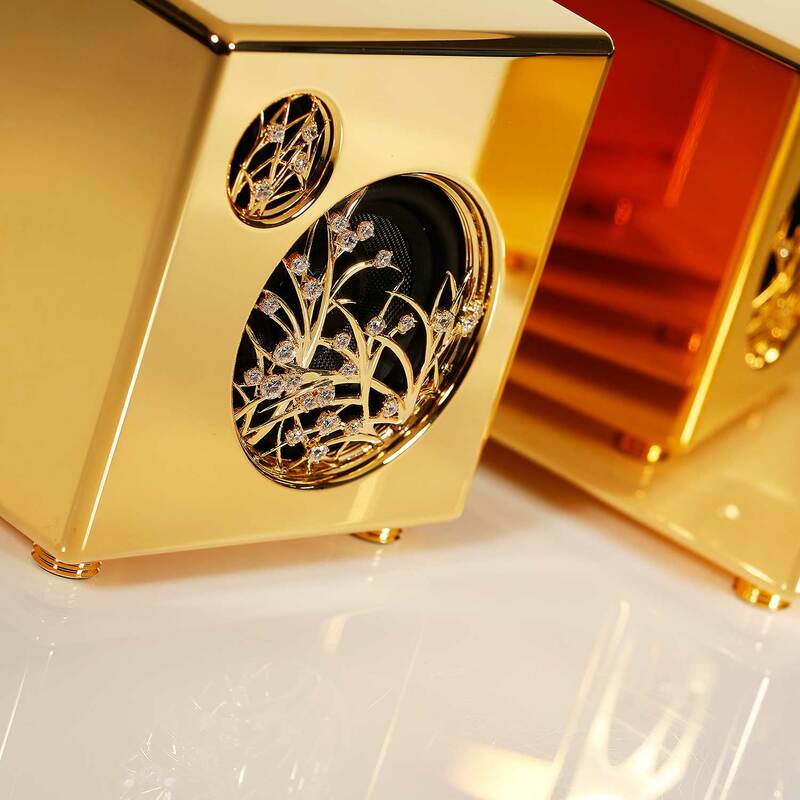 Each piece is hand made in Japan. 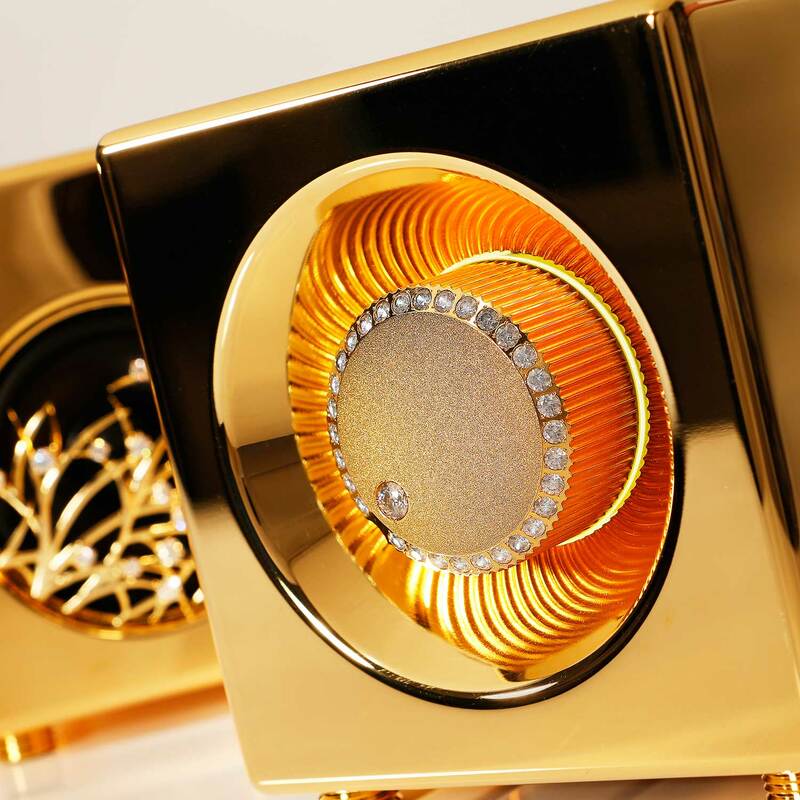 The speakers are available in gold and silver plated forms as well as solid sterling silver and solid gold forms. 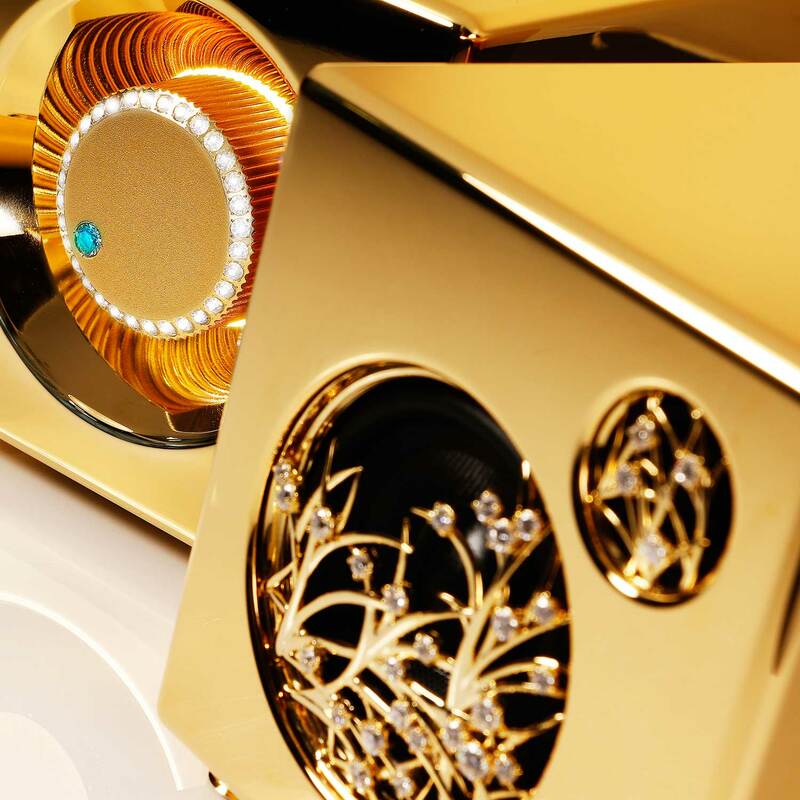 The speakers feature custom designed grills encrusted with diamonds or zirconia and are optional.